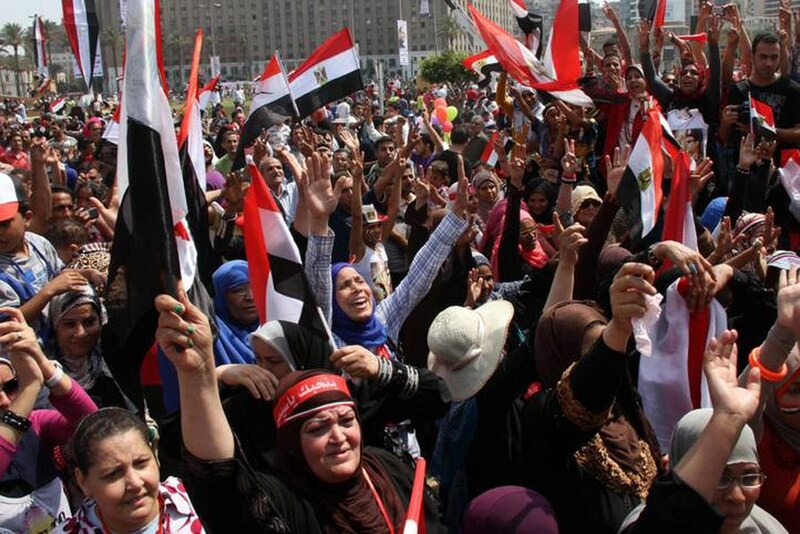 Supporters of president Al-Sisi at Tahrir Square in downtown Cairo in June 2014. Photo HH. Egypt – the region cleaved from the south to the north by the river Nile – was home to successive civilizations throughout the centuries and in modern times is the sole true nation state in the Arab world. Developments in the country have always left a strong mark on the rest of the region, and will continue to do so in the future. This also goes for the ousting of the first democratically elected Islamist President, Mohammed Morsi, by the Army, followed by the take-over by former General Abd al-Fattah al-Sisi, who was elected in May 2014. Meanwhile, with Hosni Mubarak being freed from prison, a crackdown on media and political opponents, including former President Mohammed Morsi (who was sentenced to twenty years in jail in April 2015), the Egyptian revolution seems over. The regime of Abd al-Fattah al-Sisi has a firm grip on the country while its international legitimacy is growing, despite widespread accusations of human rights abuses. The regime is trying to turn a new page, including attracting foreign investors and implementing high-profile projects, such as the new Suez Canal, which was opened in August 2015.